Free set of twenty four different cool vector elements that are perfect for urban, skate, screen printing and sticker graphics. 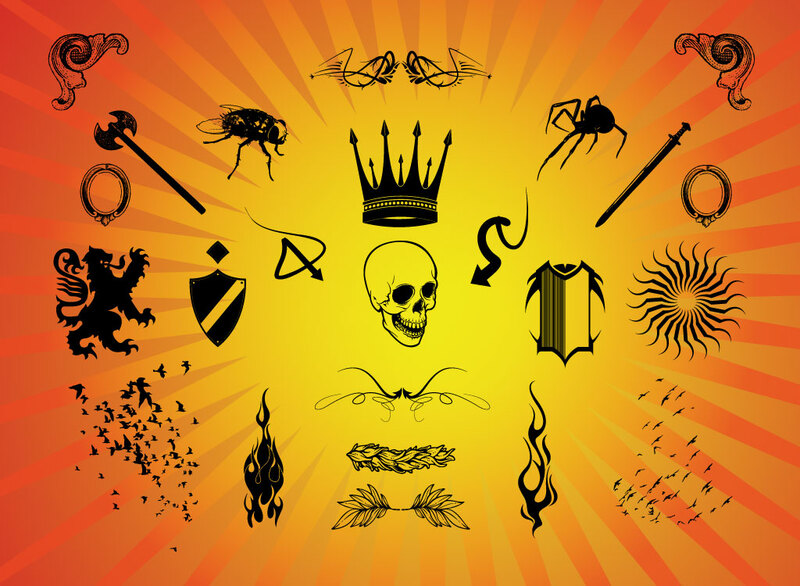 Includes images like a skull, stylized arrows, bats, an ax, sword, spider, fly, crown, birds, flames and more useful design elements. Download this awesome stock footage set to add great style to your designs. Tags: Crown, Graffiti, Heraldic, Leaves, Lion, Scribbles, Scrolls, Shield, Spider, Sun.